Buyers are evolving, and so should your prospecting. As a salesperson, your pipeline is the key to your success. No matter what changes, that remains the same. Top producers prospect — ALL THE TIME! The Internet won’t fill your sales funnel, and you can’t rely on the Marketing Department for leads (not if you want to succeed). 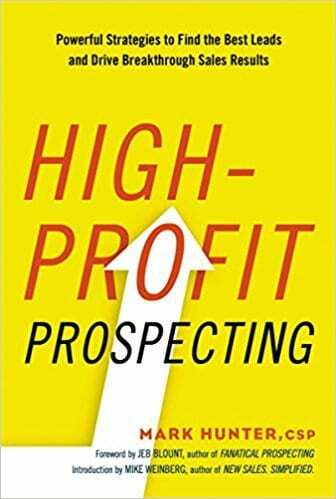 High-Profit Prospecting puts the power back where it belongs — in your hands! Follow Mark’s strategies and start bringing in valuable new business.